Been a bit quiet here of late. It's just that, on top of the day job, I have been trying to stay on top of some rather hairy bits and bobs swirling around the blogosphere regarding the science of climate change. And it's still swirling, at least in some quarters. Which makes a little episode I was involved in today all the more pertinent. We have now published an update to the blog, which makes this clear. and this person made the change referred to in the blog comments. But I think you may owe the guy who spotted it more of one, and thanks for catching it. Which kind makes the general point I was making about a policy of flagging changes even more pertinent. Order, for now, one trusts, is restored. But it does show the value of checking, and persistence. On top of not being above a cranked eyebrow when things do not seem to be adding up. A little repair to the missus' brolly I am quite proud of. And very 'Junkk', as it saved us £15 on a new one, and cost no more than a few moments of my time. I have been quiet...er, here, of late. The main one is the sheer volume of information one can get, and needs to process, can overtake the ability to actually DO anything. But I have also been subdued by 'events'. The sheer incompetence of our political classes still astounds even as it exceeds one's worse expectations and fears. Matched only by the superficiality at best, equal incompetence and complicity at worst, of most major media... which frankly depresses. And then, there are the rest. From activists to big business, as typified by that quote above. Yes, I am keen to learn all I can and DO more to make the world a better place for my kids. But the sheer, rank, hypocrisy of those who have set themselves up, and above 'us' is proving very hard to stomach... much less try and work around (as 'with' seems only to occur to them if there is money to be made, careers to enhance or a target to be met). I love the resource that is twitter (and upon which this will appear in the net 24 hrs), but even with only a few hundred folllowees I can no longer do justice to following and re-tweeting (on sharing) what they post. Hence a pause is called for. Equally here, though I see more value to the 'causes' of Junkk.com, RE:tie and, by extension 'proactive, pragmatic, enviROI+ green advocacy' to popping out the odd post to maintain a presence. Probably more around my thoughts than on specific topics, as I simply do not have the time, or support, to do each one the justice it requires. To get to that happy stage I need to earn some money. First up to feed the family. 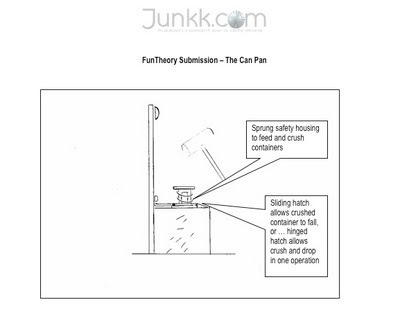 But then, if it flows as I hope it will again, to enable me to invest in what I need to make Junkk.com, and all that surround it, all I have always hoped it can be. A while ago a writing competition was posted. I have always told you that the most we can expect is that you do your best, for all, and in support of all the right reasons. What I have before now neglected to add was that you must never stop doing it. Follow those two principles and while you may never get rich monetarily, at the very least you will find a sense of purpose and rewards in other ways with, if you are lucky, the bonus of a legacy to be proud of. But you only have one life, so don’t beat yourselves up on it; live it to the full as best you can, whilst you try and DO the best you can. Now considering the topic theme I would like… need to make an apology. Not for anything I have done (though there are many things for which I am sure I should), but I am sorry to have been part, so far, of an ongoing failure. It is the failure of my generation, plus one at least above (and a few below) to have sensibly managed very well this precious planet that all our futures so depend upon. At one time I could offer the reason, if not excuse, of ignorance, and even less credibly, being ‘too busy’. This can no longer be true, of me or any in a position to effect necessary changes; from voters to those in, or seeking power with their blessing. Plus all those who also are attached to and can influence the process of local, national and global governance. Media, activists, etc. You know who your are. Where the message is so key, so many messengers, often self-appointed, have failed with the importance of getting it through. Yet still so few seem able, or willing, to look inward and cease blaming others for failing to understand, but instead to hold them…ourselves to account for being so poor at explanation and/or persuasion. It’s not enough to believe, you need also to convince by the power and skill of argument. Turning incomprehension or the shake of a head into a nod is an art, and a very rewarding one to cultivate. Do it well and you not only create converts; you make new friends. Always a plus. Sadly, despite my best efforts at self-education, I must confess to still remaining confused on much of what to do for the best. And I fear the human condition, and all its manifestations, today, are simply too much for one person or even ‘leaders’ to get fully to grips with global issues sensibly in any form to simply hand me the answers on a platter. I don’t think most 'know', or can 'know' either. There is a strong case for admitting ignorance, so long as you show commitment to filling that gap quickly. All I am aware of is that there is much that seems very broken, and hence needs fixing. And that we as individuals are well equipped in this regard, with our minds and our hands, to tackle the challenges ahead. I give my pledge therefore to do my best to help support all laudable aims based upon just causes. It is all I can do to live up to what I have tried to inspire in you. And that is to do our best to spare humanity going to waste. I might fail, at least in my lifetime. I hope not. But at least I will know I tried. So I invite you to join me. Always follow the positive path if you can, but don’t be afraid, especially of outside and especially peer pressure, to challenge what you feel is wrong. And remember, a question is not a threat (or should not be) if it invites an answer that moves the discussion along. Stay true to your instincts, but never be too proud to find out more, or admit error… and then be quick to change. And evolve. Seek to inspire rather than suppress; you may win arguments but hearts and minds can be much more sensitive, and hence of great value to win on side. And don’t be afraid to lose, so long as it has been for the right reasons. That said, see merit, and no shame in sticking to your guns to gain victory. People love, and support winners. And we all need the support of those around us. Most of all, whilst there can and will be valleys to balance the peaks, only do what you do if you truly enjoy it. Bitterness or frustration are poor companions on the road to success. And while I do no decry words alone (this is a letter after all), never forget the value of setting examples, especially through DOING. The result of the smallest effort in this regard can place you way ahead and above the loftiest pronouncement or claim, no matter how high the author’s perceived pedestal. If nothing else, this notion is something, I hope of value, that I can give to you now: not just to hope, but to try as best you can to make the world a better place. If we do, others might. And in banding together we can make anything happen. Who knows, this may even register with a few in power too, if enough of us walk the walk as well as expecting that we all talk sense, and with honesty. Never miss the opportunity to take pause to listen... every step of the way. Broadcast-only devices make poor communicators. Oh, and if you can get to wangle decent careers to support you families whilst doing all that, your Mum says she will be thrilled to. Not sure I dare show it to the little sods yet, mind. Their new XBox game has just arrived. No looking good, to be sure. A Flood Warning has been issued for the River Wye from Hereford To Ross On Wye area. Flooding of homes and businesses is expected. Act now! Above all - be careful. The Environment Agency cannot be held responsible for any accidents, injuries, or losses, financial or otherwise, which occur as a result of this email. Forecasts cannot be guaranteed. I don't know the best answer, but this cannot be it. Yet again, the footy field next to the river ended up waterlogged. Now we feel they are more making sure they can say they tried to avoid criticism rather than being sensible about helping folk make decisions. Box ticking. Target meeting. I called to suggest that this was losing value rapidly by being such a blanket alert and why not be more honest on the limits of the system and parameters. I was advised to unsubscribe. Slightly 'off-enviro', but still pertinent to all involved, or interested in honing their online/IT skills with blogs, sites, etc. Basically as I see, use or get sent 'em, I'll share. Mostly benign, and always nice to find stuff you thought had gone. But also... what is may not always have been, and the truth is out there. So have a care what you commit to the web... and then try and change, especially if it is not to add truth or further clarity. You will be caught out, Mr. Nixon. BBC - what are these? only2clicks.com - actually a bookmarking bookmarker. Looks nifty. TWITTER AS AN EARLY STAGE WARNING SYSTEM FOR BRANDS? Wikipedia - 'backskatter' - can be an issue if people or, worse, listing-systems think you are the originator. Firebird gest thousands of bounce-backs a month. John’s Background Switcher - Perk up your monitor background! n2yo.com - tracks satellites. How cool is that? rough-equivalents.com - How many Albert Halls do we fill with waste again? Macs have 'Grab' - much awesomeness. Times - Software that remembers your passwords - I'll list 'em one day! Responding Heads - (WIN) - Responding Heads enables you to launch programs, commands and actions via voice commands spoken into your PC microphone. pagepainter.com - Test and adjust colors on your own web page layout without leaving the browser. bugmenot.com - Tricky one this, as Junkk.com requires registration! But we do have good reasons. Thing is, ours is opt-in, so you say whether you want to get the newsletter etc. This looks useful for the catch-all database trawl. BBC - The feed factory - helpful intro... I need it! fumpr.com - for images. No idea how you find 'em again, but it's free. DIY Teleprompter - Now that's playing my song! downforeveryoneorjustme.com - a URL availability checker. Neat! Ask Jack - He's worked for me! Ask Rick - well, if you have to ask...:) I wonder if techno fixes have political slants? fontstruct.fontshop.com - Design your own! How fun is that? makeuseof.com - The Best Free Apps to Help you start Touch Typing - Too late for old two fingers me! but there's a 30 day trial on their website. Photo morpher - from Real. £14.99 at time of writing. Looks a hoot. Free-Video-Flip-and-Rotate - Does what it says on the tin. converter - there are plenty of free ones. Convert the file you've downloaded and it will now be an AVI movie playable on most computers You can also find converters that change it into other formats like MPG4, Quicktime etc - depending on what format you need. Second Life - a rather amazing world. See my lovely missus play concerts without leaving home (go to news>calendar). Well worth it, and an interesting insight into lots of folk meeting up without burning travel miles.